The forecast called for rain that weekend during my stay in New York but the warmth from the sunshine, coupled with the humidity that blanketed the city, took its place instead. I thought it rather serendipitous considering I was on my way to speak with the Here Comes the Sun author. Nicole Dennis-Benn’s patience is something to be admired. I would know because what was supposed to be a 30 minute bus trip from East Flatbush to her apartment, turned into an hour, but I was welcomed into her home and greeted by her big smile. There’s something to be said about the familiarity of Jamaicaness. There are universal aspects of some parts of our identity like the way we embrace people or the certain air about us or how impossible it is to not make our presence known in the spaces we occupy. No matter where we are, we can recreate something recognizable. Looking up on the eggshell-white walls of Nicole’s kitchen, I smiled. That feeling of recognition came. At the very top of the white cloth hoisted between two wooden rods read “My Kitchen Prayer”. It was a staple item likely to be found at the house of any Jamaican person, notably those off the islands, as a small reminder to ensure that you count your blessings. She invited me to sit, her navy blue, three-tier dress spreading across her brown leather couch. She asked me if I was okay and needed water to drink, which was another reminder of a signature Jamaican quality: our hospitality, which was of particular importance to Nicole. Her debut, critically-acclaimed novel, Here Comes the Sun, was an audacious statement of the implications of Jamaica’s tourism industry on its working class, and distinctly on its working class women. Through a fictional narrative, she explores race, gender, homophobia, colourism, class and post-colonialism as a means to both remind Jamaica of the work that is still to be done, but from a place of love through her gift with words. She also uses her book to place a few considerably important elements at the forefront of literature. 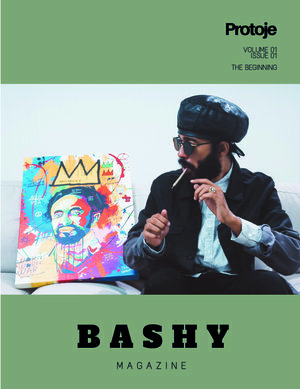 For Nicole, in addition to featuring the working class folks of the country, Here Comes the Sun was also about empowering the Patwa language spoken by its people and unpacking the complex issues that overlap and inform Jamaica’s social and cultural climate. Nicole’s past is of key importance to understanding her future. She was born and in raised in Vineyard Town, a neighbourhood in Jamaica’s capital of Kingston that borders Woodford Park, Franklyn Town and Mountain View Gardens. She tells me her family wasn’t wealthy but was able to get by because her father moved to New York, earned money as a taxi driver and sent money back home. “That was how I was able to get into their school, learn their language and come back to tell the stories that were more important to me,” she says confidently, but she didn’t originally have intentions of being an author. A myriad of people from Jamaica often say that race isn’t “the” issue, class is. It’s reinforced with a somewhat cosmopolitan national motto that states, “Out of Many, One People”, a nod to the multitude of ethnicities that make up the country’s demographic, but race and class are inextricably linked. One of the legion of institutions this can be seen in is education, where the high school one becomes alumnus is host to a certain class and culture—real, imagined or exaggerated—that its students boast, in the same way it does for people who attend any given university or college. After completing her Common Entrance Examination—the test that determined which students were able to access high school education—her academic prowess afforded her a scholarship to go to St. Andrew High School for Girls, one of Jamaica’s top-ranking high schools. When she graduated she moved to the States to live with her father and stepmother. She enrolled at Nassau Community College before transferring to Cornell University where she graduated with a BA in Biology and Nutritional Sciences. Like many children whose upward academic mobility is propelled by the dreams and aspirations of parents who were unable to do so, Nicole felt inclined to pursue a career in the medical field to ultimately become a doctor. She continued and did her Masters of Public Health at the University of Michigan and later applied for her PhD. Throughout all the changes and milestones in her life, writing was a constant. Although she began in high school, she maintained throughout all the stages of her academic career. Writing was her saviour and functioned as a means to navigate being homesick as much as it was to work through some of the social ills she had witnessed while living in Jamaica. But she realized her passions were taking a backseat to what she thought she had to do. In a 2016 essay written for Powell’s Books, Nicole shares that her wife encouraged her to do what she was most enthusiastic about, so she did a trial run of some workshops in Brooklyn before finally applying to a Masters of Fine Arts in Writing at Sarah Lawrence College. This is not a concept lost on the Caribbean writing community. In April of this year, a new online magazine, Pree Lit, published its first issue, “Crossroads”. Its editorial team, comprised of Caribbean-born writers, editors and professors, featured an essay written by award-winning author, Kei Miller. As a Guardian article reports, in the form of an allegory, Miller’s essay “The White Women and The Language of Bees” analyzed white women writers living in the Caribbean and the politics of their writing on or about the Caribbean, their literary work and how they engaged with other writers in their locales. Their identities were left anonymous but many people suggested that it was clear who he was alluding to. Due to its polarizing nature, Miller requested that the essay be pulled from Pree Lit’s website (it was later re-published), but was reflective of a longstanding issue within the Caribbean writing community of non-white writers not being afforded a kind of visibility and permission to write about their culture than their white Caribbean peers. In a way Nicole’s work reclaims those narratives and provides insight to one that is often untold, sharing what aspects of life are like for the people and economy that generate the most income for the island. She tells me of a younger version of herself, of one who didn’t know that there were writers who shared some of her identity. “I’d always envision this white man on Strawberry Hills overlooking Kingston and seeing the miniature people but still catering to the story of people in his head about what he perceives people to be,” she says. Additionally, it has become her self-assigned personal responsibility to make visible the realities, humanities and complexities of the everyday Jamaican woman in her work, not only by including their experiences but by sharing it in their voice. She intends to continue her mission throughout her future works including her upcoming, highly anticipated second novel, PATSY, which is set to be released in June of 2019. “You don’t see many Patsy’s in our literature, you don’t see them on screen wherein now, she has a dream of her own and it’s a very personal dream,” she says of the project between smiles. “Patsy’s journey is this intimate journey into self, coming to a new place, yet still struggling. She’s undocumented but still finding what it really means to be a woman in our society.” A 2014 Jamaica Gleaner article penned by Nicole shows the PATSY novel in its early stage of development. The article was written in the form of a letter that Patsy pens to her mother about the “rainbow people” she sees on her way home joyously celebrating during a parade. “Dese people look like dey jus' got dem independence, mama. Dey look like Jamaicans wid ah different flag,” the letter concludes. When I read that line, the first thing I thought about was how Pride is as much a display of freedom and liberation as it is a site of possibilities for LGBTQ+ folks, out or closeted, to step into their truth. Being one of few openly out Jamaican women I wanted to know what Nicole’s imagined Jamaica was for its LGBTQ+ community. “There’s a Pride [parade] in Jamaica, a very small one though, but imagine a society where that could be a bigger thing and also a society where even if somebody comes out—it could be coming out from the upper class, middle class or working class, no matter where you are—and be protected by the law,” she responds. It’s June and it’s Pride month and this conversation with Nicole feels something like a full circle moment, given where she’s been and where she’s presently at. Her abundance of gratefulness underscores all of her thoughts and her daily bread is wrapped up in appreciating the simple things — her wife, her ability to live in the U.S as a citizen, her health and her life. Her writing has allowed her to occupy fellowships including Lambda and Hedgebrook, she’s been awarded by both the New York Foundation for the Arts and the New York State Council on the Arts for her contributions to literature and now teaches writing at Princeton University as a Creative Writing lecturer and City College’s MFA program as a Kowald Visiting Faculty member. 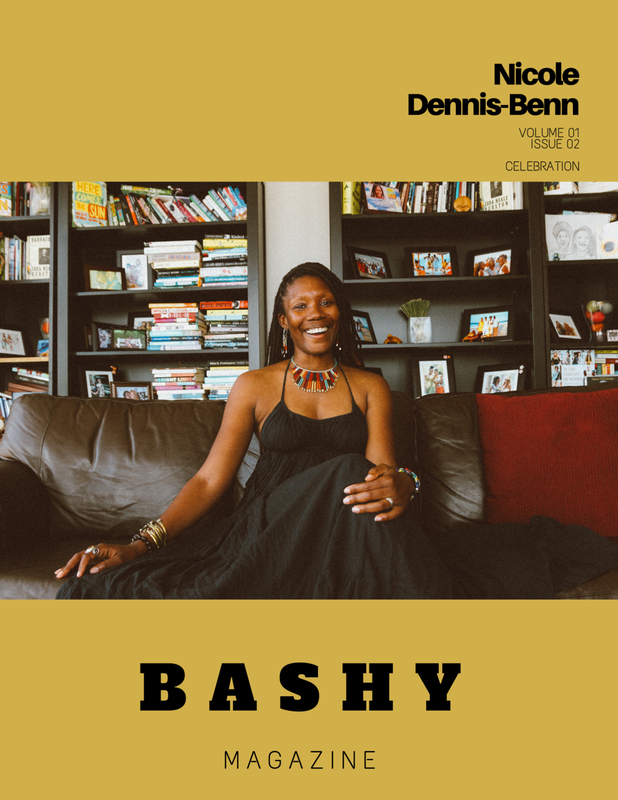 Purchase a copy of BASHY Magazine’s second issue, CELEBRATION, featuring Nicole-Dennis Benn as our cover story author. BAKERSTEEZ's SoundBoy Gets A Visual for "SENSIBLE"